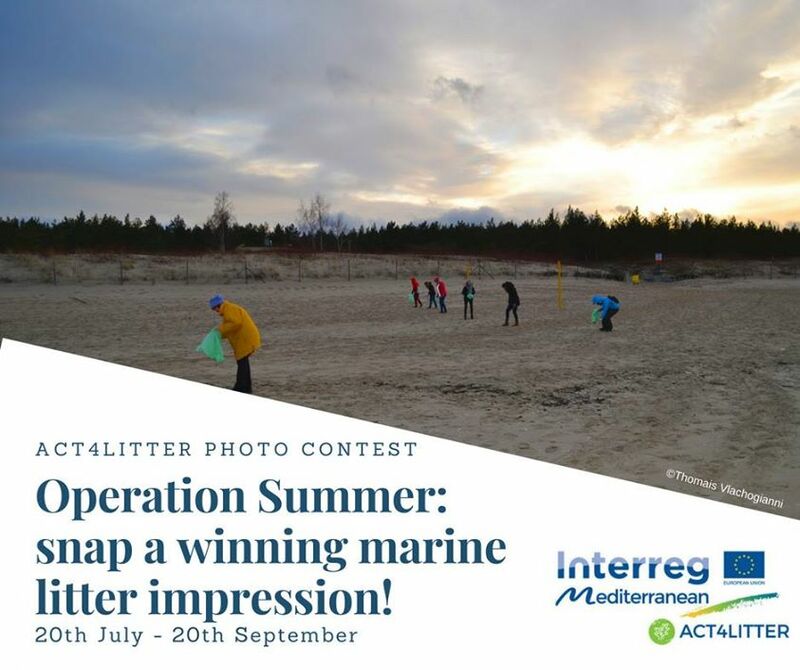 Operation Summer: snap a winning marine litter impression! Open your eyes, grab your camera and unleash your creative soul! Capture a stunning snap of pristine or littered seascapes, marine litter solutions, underwater scenes, impacted marine wildlife…and enter the contest! We will be accepting submissions from now until the 20th of September 2018. This contest is open to the public and free to enter, so feel free to invite your fellow friends and ocean-lovers to participate. And don’t forget to follow us on Facebook and Twitter—we’ll be sharing some of our favourite entries throughout the contest! The winning pictures will be featured in the ACT4LITTER final publication, in the ACT4LITTER social media and the final ACT4LITTER conference to be held in Athens, Greece on the 24th of October 2018. The location where the photo was taken. To ensure eligibility for the Contest each entry should submit the highest quality photo possible – ideally 300 dpi (2550 pixels wide by 3300 pixels tall), with a minimum of 150 dpi (1275 pixels wide by 1650 pixels tall). Images should be between 5MB and 10MB in size. Images may be digitally manipulated. You must however provide details on how your image has been altered. *Children 18 and under must have their parents’ or legal guardian’s permission to participate.